Are you considering Coral Springs, FL cosmetic dentists to help you get the smile you always wanted? 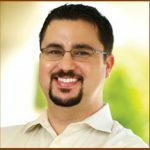 Dr. Daniel Rovirosa and the team at Rovi Smile Center can help with a variety of cosmetic dentistry smile makeover procedures. 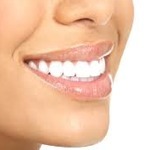 Dental veneers offer a fast and effective way to get a smile makeover. 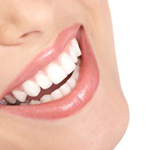 These thin covers adhere to the front of your teeth and instantly improve the look and symmetry of your smile. We offer Kor Deep Bleaching and Zoom! Whitening services to help you get a whiter, brighter smile that’s just not possible with over-the-counter teeth whitening products. Leveraging composite bonding material we can correct a variety of cosmetic dental imperfections ranging from discoloration, tooth chip repair, providing tooth-colored fillings, and more. 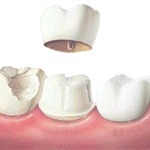 Inlays and onlays are partial crowns that can transform the look of your smile. At Rovi Smile Center your comfort is a priority. A visit to the dentist doesn’t have to feel foreboding. Our warm and welcoming environment and numerous amenities make appointments more pleasant and can help eliminate dental anxiety. Patients are our priority at Rovi Smile Center in Coral Springs, FL. Dr. Daniel Rovirosa would be pleased to meet with you to explore cosmetic dentistry options to beautify your smile. We also offer dental financing on cosmetic dental procedures, making your dream of a beautiful smile an affordable one. Book an appointment by scheduling a consultation or by calling (954) 755-8003.